Look at that, another crop top, who am I?! A convert that is who. I never, ever thought I would feel comfortable in a crop top and have avoided them at all costs, however, once I gave them a try my opinion changed. They are fun, different, and add a little edge. I simply cannot get enough. 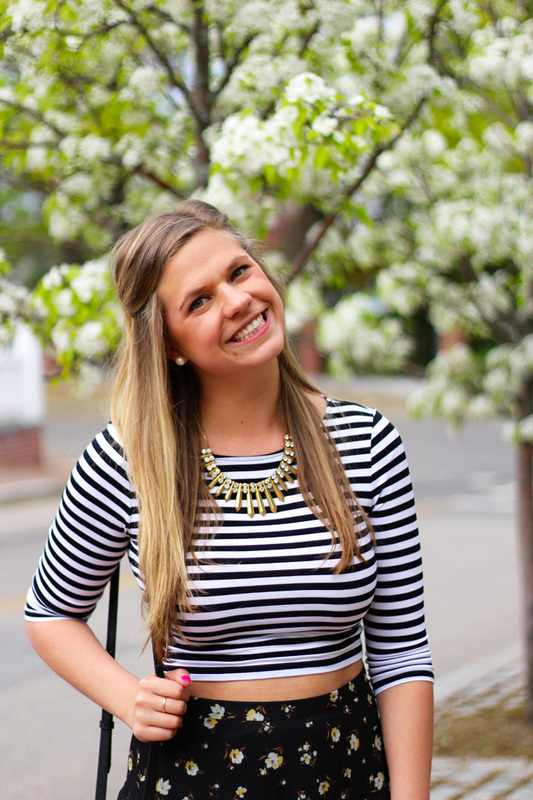 I have been tearing my closet apart pairing together new pieces and ways to wear this stripe crop top as well as the first one I tried (see it here!). This skirt is from last summer but it's back in some new patterns and colors! I love that it's high waisted and has a flouncy (did I make that word up? ), bouncy feel to it! It is so much fun to wear and twirl around in!